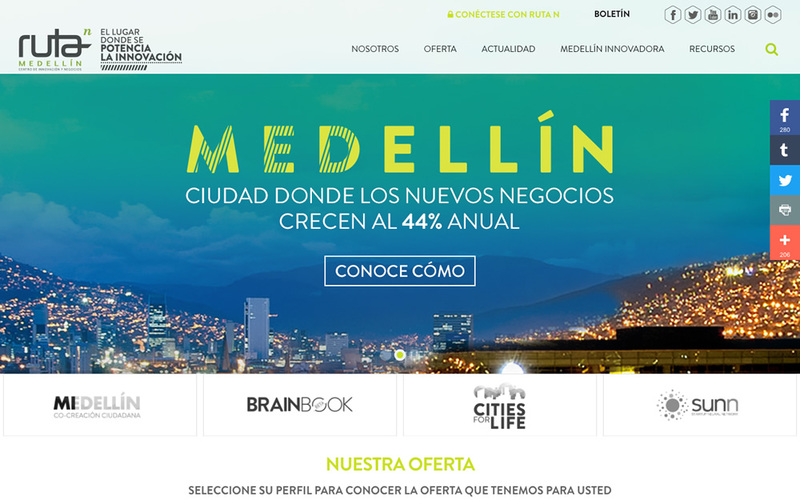 Design, development and content assembly for Ruta N Medellín portal. Joomla CMS responsive site with a bunch of component to fill client needs. Ruta N is a innovation initiavite of Medellín goverment, an offers programs and events based on innovate in all life aspects of their public: Citizens, investigator, entrepeneurs, business companies and employees.